Clearly he didn’t bargain on the determination of his daughter to painstakingly collect the familial threads and tie them together again and film the experience. 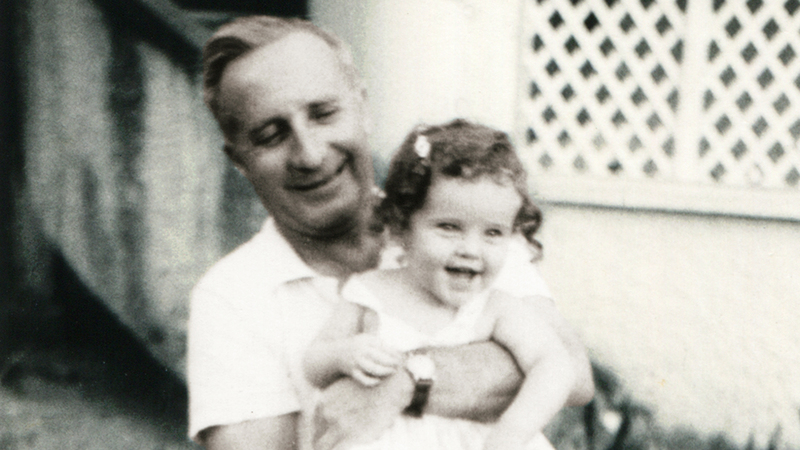 We follow her as she pieces together a history beginning with her birth in Trinidad, one of the few countries accepting people like her father fleeing persecution in Nazi Germany. Though it involved a period of internment for Manfred, life in Trinidad is happy. He’s involved in the music industry and meets and marries Goldfish’s mother Phyllis who is on her way to somewhere else when she unaccountably disembarks at Port of Spain. Faced with a reluctant subject, Goldfish seeks evidence in the generous family archive of photographs and her father’s home movie footage. Visually, the film relies heavily on these images as well as the filmmaker’s narration. 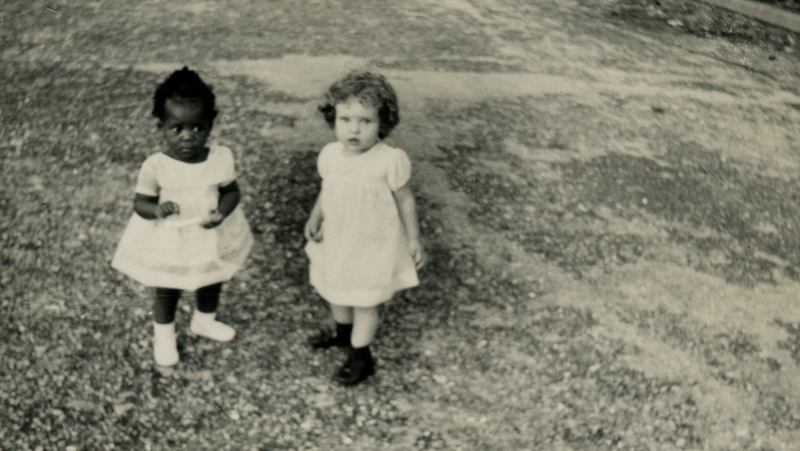 Dog-eared black-and-white snaps and grainy film footage document the family’s happy life in Trinidad until their enforced departure following the 1970 Black Power Revolution and eventual migration to Australia, where the young Goldfish has to acknowledge that she’s white. Images change to crisp colour, marking the change from Caribbean to Antipodean light and with increasing candour that familiar distancing as Goldfish forms her own relationships and connections with the theatre and LGBTI communities. 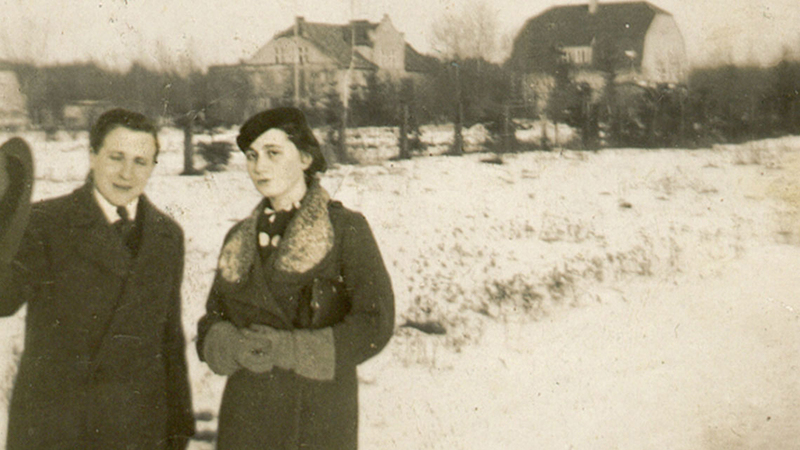 Her journey in Manfred’s colourful past is rendered in sepia tones and black and white images of before-and-after Europe extracted from family albums and leaving the marks of their disappearance. At 80 minutes, attention is occasionally tested though the film largely maintains momentum as we’re caught up in what becomes for Goldfish an almost obsessive project over 10 years of her film’s development. When it’s revealed that Manfred has a previous family, the search becomes more urgent. Video complements the still images as she traces — often in photographs — ancestral footprints, identifying and returning to places once inhabited by relatives, placing pebbles on gravestones, authorising commemorative plaques laid by German authorities now eager to make restitution for past wrongs. Each new contact invites a journey and adds another surprising piece to the puzzle: she learns she’s Jewish. She despairs over a missed connection with another distant relation, now dead: “I could have known her!” Early on, Goldfish is perplexed when her letter to the half-brother she’s discovered goes unanswered. Later she learns of the psychological damage to his abandoned son that her father’s displacement has wrought. A slower paced element of the film is Goldfish’s understated video interview with her father. Mostly filmed in close-up, Manfred responds cagily to his daughter’s gently probing questions. Later her camera silently observes the aged Manfred and Phyllis moving with difficulty through their home. The footage of Manfred Goldfish stands alone as a poignant portrait. Connections with the current world refugee crisis are inevitable. Watching The Last Goldfish, we can’t help be reminded of the repercussions of displacement and just what’s involved in putting the pieces back together again. Premiering at the Sydney Film Festival, The Last Goldfish is one of 10 Australian documentaries funded in part by the Documentary Australia Foundation. The Last Goldfish, 2017, writer, director Su Goldfish, producer Carolyn Johnson, editor Martin Fox, distributor Umbrella Entertainment.